James Fallows, national correspondent for The Atlantic and an IFR-rated pilot (currently of a Cirrus), has been flying around the U.S. and writing about the experience of visiting cities and towns that are reinventing themselves (more details and stories at American Futures). You can view an album of photos taken along the way here. He and his wife Deb were featured in a program on C-SPAN last week, talking about their experience so far. Draft Advisory Circulars: Flight Reviews, FIRCs, etc. The FAA has published several draft ACs of interested to general aviation pilots and flight instructors. The documents are available for review and comment at the FAA website, here. AC 61-98C, Currency Requirements and Guidance for the Flight Review and Instrument Proficiency Check. This advisory circular (AC) provides information for certificated pilots and flight instructors to use in complying with the flight review required by Title 14 of the Code of Federal Regulations (14 CFR) part 61, § 61.56 and the recent flight experience requirements of § 61.57. This AC is particularly directed to General Aviation (GA) pilots holding sport or higher grades of pilot certificates who wish to maintain currency and to certificated flight instructors (CFI) who give flight instruction to support such activities. This AC does not apply to training programs or proficiency checks conducted pursuant to 14 CFR part 121 or 135, nor to curriculums approved pursuant to 14 CFR part 142. AC 61-83H: Nationally Scheduled, FAA-Approved, Industry-Conducted Flight Instructor Refresher Course. This advisory circular (AC) provides information and standards for the preparation and approval of training course outlines (TCO) for Federal Aviation Administration (FAA)-approved, industry conducted flight instructor refresher courses (FIRC) in accordance with Title 14 of the Code of Federal Regulations (14 CFR) part 61, § 61.197(a)(2)(iii). AC 120-UPRT, Upset Prevention and Recovery Training. AC 120-UPRT provides guidance to air carriers for the implementation of the new requirements in the Qualification, Service, and Use of Crewmembers and Aircraft Dispatchers (part 121 subpart N&O) final rule (provisions §§ 121.419, 121.423, and 121.427) to provide pilots with ground and flight training on upset. The AC also provides guidance for some of the flight instructor training requirements contained in §§ 121.412 and 121.414. AC 120-109A, Stall Prevention and Recovery Training. The revision of AC 120-109 provides guidance to air carriers for the implementation of the new requirements in the Qualification, Service, and Use of Crewmembers and Aircraft Dispatchers (part 121 subpart N&O) final rule (provisions §§ 121.419, 121.423, and 121.427) to provide pilots with ground and flight training on stall prevention and recovery. 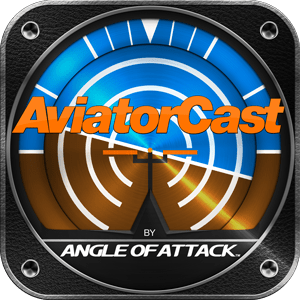 Chris Palmer, host of a podcast at Angle of Attack, recently interviewed me about PC-based simulations, scenario-based training, and aerobatics. The podcast is available at the link above.